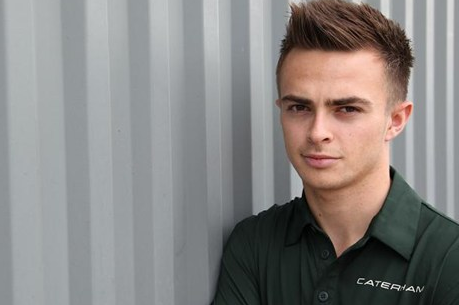 Formula One: Will Stevens to race for Caterham alongside Kobayashi in season finale! Home » Formula One: Will Stevens to race for Caterham alongside Kobayashi in season finale! British Formula Renault 3.5 driver Will Stevens will make his Formula One debut in this weekend’s F1 finale. He will partner Kamui Kobayashi as Caterham make their return to the grid after missing the last two rounds due to financial reasons. The team signed the ex-Marussia test driver earlier this week but had to wait on his superlicense being confirmed before making the news official. Stevens was previously a member of the Caterham Racing Academy and had driven this year’s car at the Silverstone, but had left the academy following the change in management. “I’m absolutely thrilled to be getting this opportunity and am very grateful to everyone involved at Caterham F1 Team for giving it to me,” said Stevens. “In addition, his 2014 test at Silverstone in our current car, where he completed over 500km, was very successful and his race pace was very good. As a result, he was one of our best candidates for this race weekend and we are delighted to have secured his services for our return to the F1 grid.